They shot, they scored and they conquered. 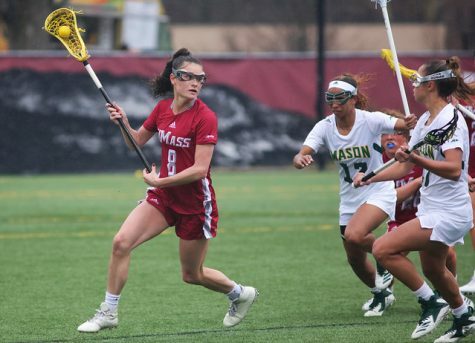 The Massachusetts women’s lacrosse team earned two wins last weekend, victories that can be attributed to its sharp-shooting tactics. Taking smart shots will be a key element when the Minutewomen (3-6, 2-0 Atlantic 10) compete against Temple Saturday. 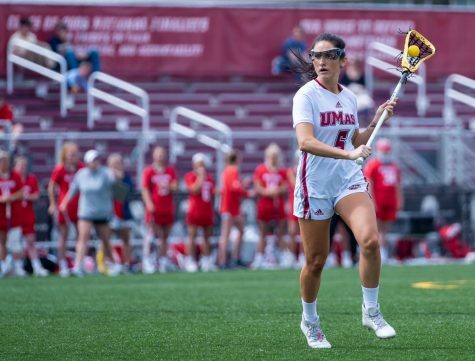 Through the first 11 games of the season, UMass has five players with at least 10 goals. Midfielder Jesse O’Donnell tops the list with 25, and is the only player with at least 20 goals on the team. 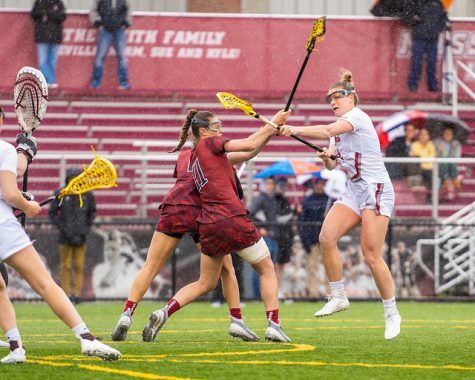 While O’Donnell notched her first goal of the year against No. 1 Northwestern in the Minutewomen’s season opener, she did not show her true scoring dominance until the following game, when she notched five goals against Holy Cross. O’Donnell followed that five-goal burst with a hat trick in the next contest against Connecticut. 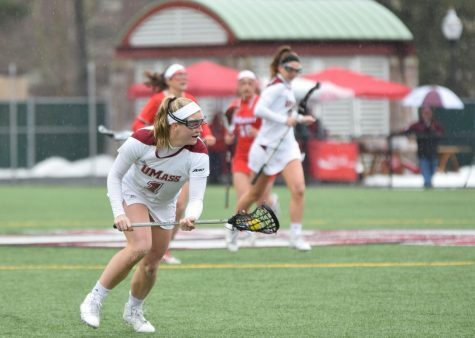 She did not score more than a pair of goals until UMass took on Yale on March 10th. Following O’Donnell is midfielder Jackie Lyons with 18 scores. Lyons is shooting 50 percent on her free-position shots and just below the same percentage in total shots. Lyons has earned three hat tricks all season, coming in games against the Crusaders (2-8, 0-2 Patriot League), Boston University and last weekend against George Washington. Despite her high scoring, Lyons leads the team in assists, draw controls and caused turnovers. 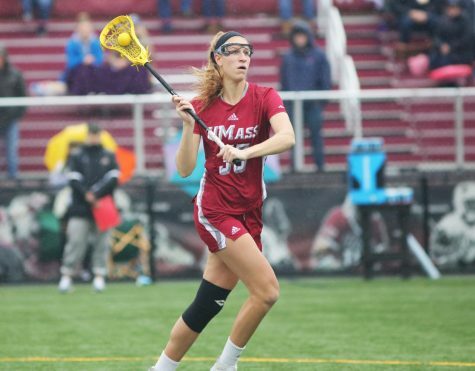 Fellow midfielder Merritt Cosgrove has 13 goals on the year with a .771 shot-on-goal percentage. Rounding out the bottom of the top five are sophomores Danielle Pelletier and Nina Sarcona. 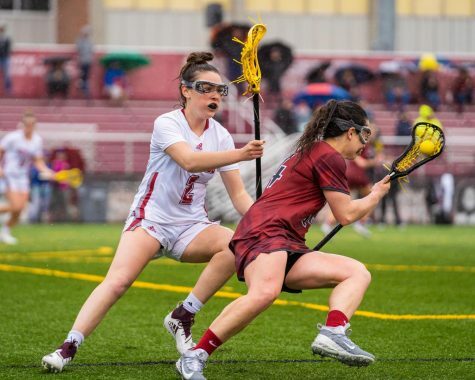 Sarcona earned her 10th goal of the season in the game against Richmond, which was part of a three-goal run by the New York native. “They’ve been working hard, and they know that they have a little bit of a target [on them] and that they have to pick up their game and change it a bit,” Venechanos said. According to Venechanos, the team has more than the top five goal scorers in terms of attack. 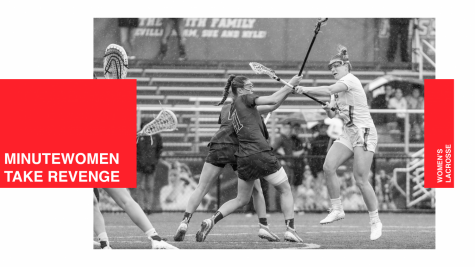 Over the season, the Minutewomen have scored 110 goals (10 goals per game), with a .435 shot percentage. 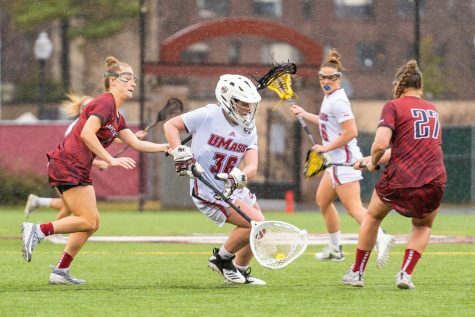 UMass is just over 71 percent for their shots-on-goal. “We don’t know who will be ‘the one’ [in each] game, but it’s good to have those options,” Venechanos said. It was goalkeeper Katie Florence who made the difference in the two victories this past weekend. Despite allowing 15 goals over the two games, Florence saved 17 shots from reaching the back of the net. Florence, known as Flo by her teammates, is no stranger to awards, as she was first named Defensive Player of the Week in the A-10 on Feb. 23rd. Florence, who was also named to the A-10 All-Rookie Team last season, earned the Rookie of the Week award twice in 2009. Through the first 11 games of play, Florence has earned double digits in saves on three occasions. The first was in the opening game of the season against the Wildcats, when she earned 13 saves. 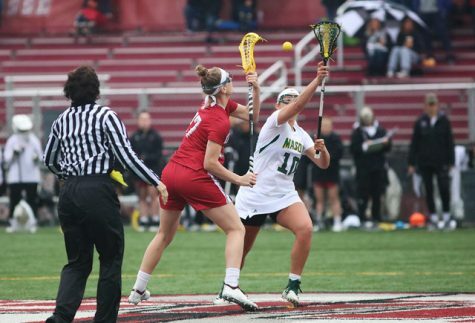 Nearly three weeks later, Florence earned 10 saves in the 10-8 loss against the Terriers (5-4, 1-0 America East). The third time she earned double digit saves was earlier this month against Albany. Herb Scribner can be reached at [email protected].